After getting home today, I decided to do a bit of spring (well summer) cleaning. 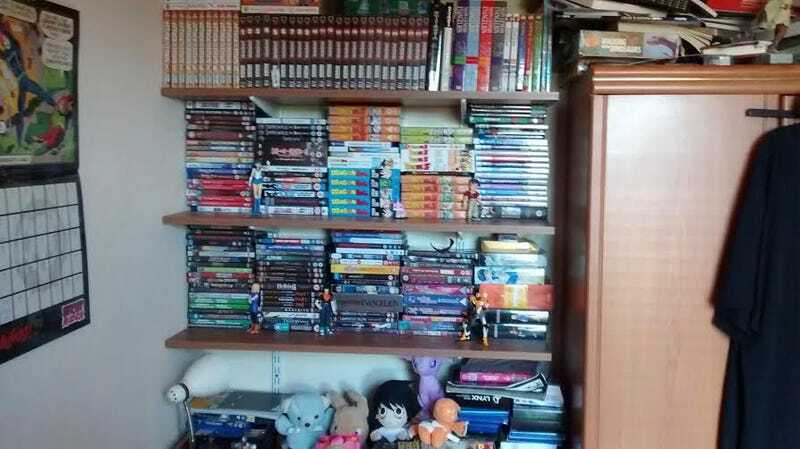 When organizing my shelves I decided to show off my anime/manga collection to all of you. It’s not the biggest, but it is mine. Yes I realise this comes across as massively egotistic, but on the plus side, you can show your collections. It can be your collection of anything like cards, video games, shrunken heads etc. If you have a collection you are proud of, please feel free to post it here. Just as long as it doesn’t break any of O’Deck’s rules or can get you in trouble with the law. No stolen jewellery or clay model gentile collections here please.